Just enter promo code LV65JRWO at checkout to get your best deal! 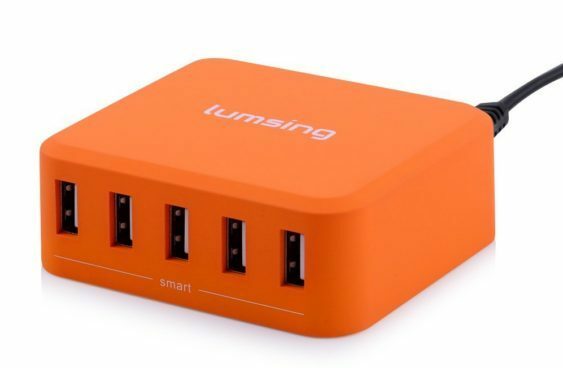 Detects and automatically switches to the charging mode of the connected digital device for full speed charging of up to 2.4 amps per port or 8 amps overall. Via 5 ports, delivers 40 watts of high-power to simultaneously charge five electronic devices, at top speed. The portable size is convenient to take along in the office, at home, or while travelling. The built-in Multi-Protection System ensures complete protection for you and your devices. No-load noise is minimized as much as possible. Ideal for international travel with its 5V output and 100-240V input. The durability is enhanced by heavy-duty enclosure construction with rubber oil surface treatment. This charger is well-protected from damage from being hit or dropped. CE/FCC/ROHS Certified and 12-Month Warranty.